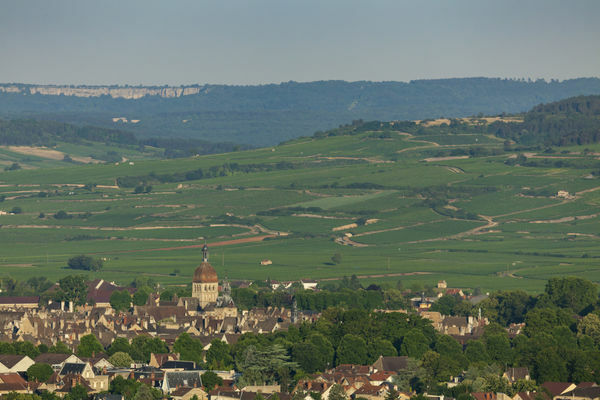 Come and get away from it all in Burgundy and discover our region. History, cultural heritage and wine are waiting here for you. 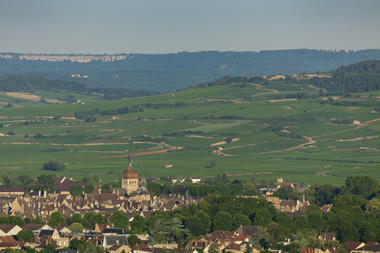 During 3 days, you will discover the true wealth of Burgundy. Share with a winemaker his experience of the vineyards and their soils, and taste our famous Burgundy wines! Depending on your time of arrival, you can leave your luggage in the luggage room or check into your room directly. Beaune, the wine capital of Burgundy, whose Hospices wine auction in autumn is world famous. The treasure of the town is undoubtedly its Hotel-Dieu. Founded in 1443 by Nicolas Rolin, Chancellor of the Dukes of Burgundy, it is emblematic of the hospital heritage of the region: a true palace of the poor, it is the most eloquent example of Flemish Burgundy art. Its multi-coloured roofs are famous. The Polyptych of the Last Judgement, commissioned from the painter Rogier van der Weyden, remains the jewel of the collections. Tour of the cellars. We invite you to discover the Caves du Patriarche. A former Ursuline convent, this place is full of history. You will discover part of this labyrinth of more than 5km of vaulted galleries dating back to the 13th century, and home to millions of bottles. A magical place, truly timeless, which sums up the marriage of wine and culture. After a warm welcome from a sommelier, you can discover these exceptional cellars before starting a tasting of five great appellations from our Burgundy vineyards: 2 whites, a Meursault and a Montagny 1er Cru; 3 reds: Mercurey 1er Cru, Nuits-Saint-Georges 1er Cru and Beaune 1er Cru. We organise an unforgettable experience for you to enjoy in the heart of Burgundy's wine culture. On an estate close to Beaune, you will be welcomed by a vineyard professional who will take you for a walk through the vineyards of his estate. He will explain all about Burgundy's growing conditions and “climats” (vine-growing parcels), which are listed as World Heritage by Unesco, the classification of wines and the work in the vineyards and of the winemakers. Your visit continues in the estate's cellars. The tasting session provides an opportunity to explain all about the harvest, fermentation, barrel ageing and bottling. The sommelier-winemaker will answer any questions you might have been wondering about!! Then it's time to take your place for a tasting lunch in the estate's dining quarters. This provides an opportunity to taste pairings of food and wine. The wines served are from the estate and are presented by the sommelier during lunch. 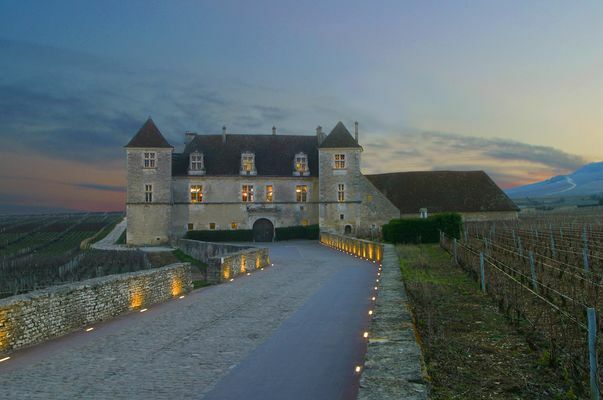 Today, this château is the emblem of the wine region for all visitors and wine lovers around the world. For it is here in amongst the vineyards that, in the twelfth century, the monks of Citeaux Abbey built a vat room and a storeroom. We can offer extra transport services to your city/region.